Mini turquoise hide hair rucksack with turquoise leather straps. 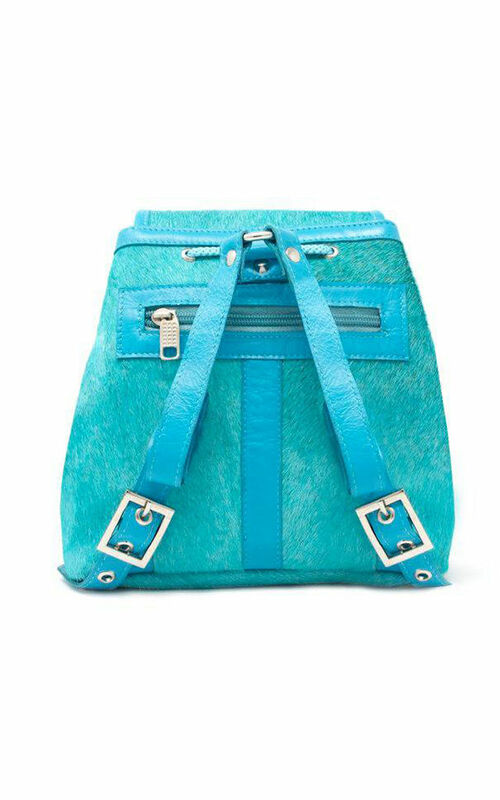 Small outside pocket at the back to hold credit cards or cash; secured with a metal zip. 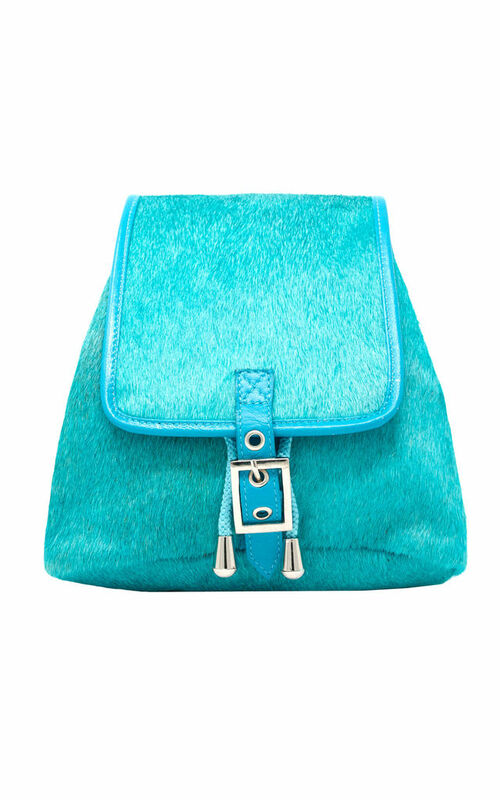 This unique coloured hide hair miniature rucksack is perfect for festivals, going out on the town or everyday wear. Its design is perfect for any occasion where you don't want to carry too much but want to keep everything safe. The go to Mary Poppins bag!